This week the terrain build up for the Salute wargames show has seen us make some key progress during our Sunday garage workshop. The crater terrain using Games Workshop craters has seen the first two coats of paint added to the grey plastic craters. In addition to the craters some small pieces of flat slate and Hyrdocol (plaster of paris) rocks were added to the board for detail. 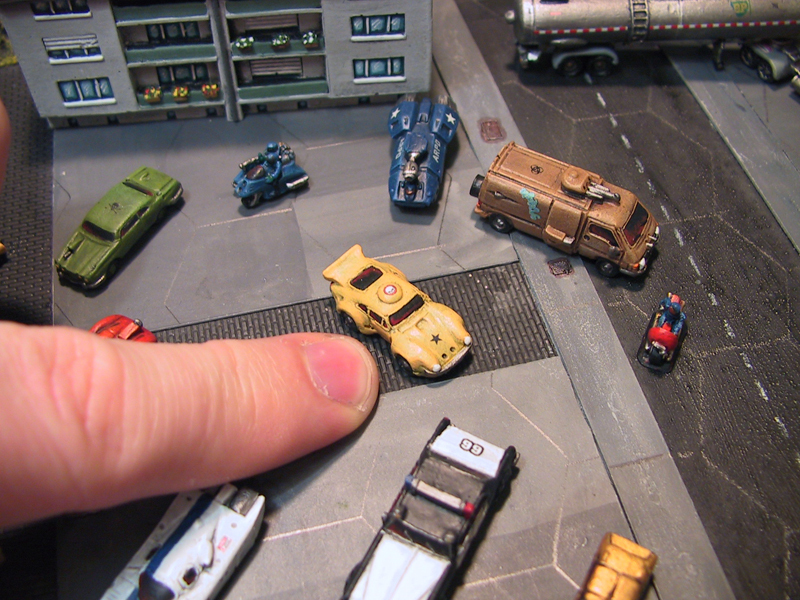 The board is made out of MDF (medium density fibreboard) with an added layer of dense foam. 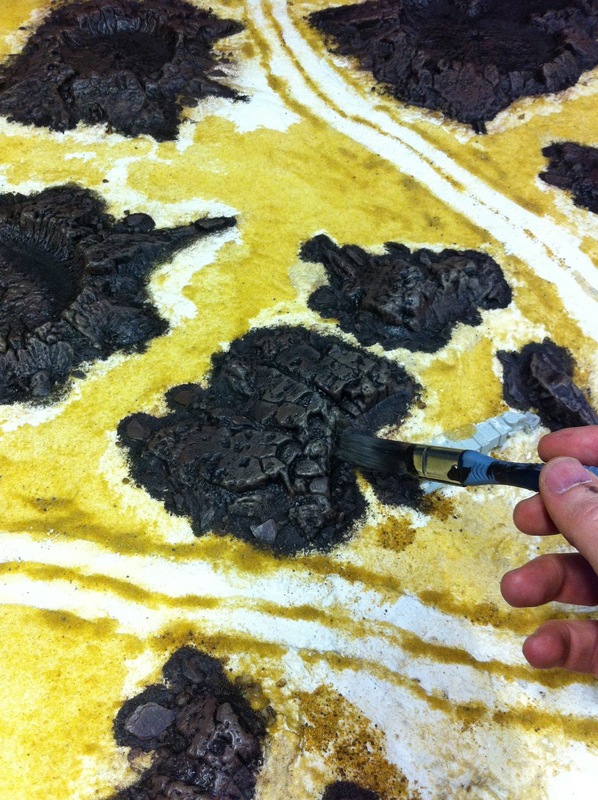 The craters are inset into the board by using a small headed hammer to hammer down a section of foam. This way you get a more realistic integrated look to the Games Workshop plastic craters. You can see the drybrushing starting to pull the detail out on the craters. They need more work and the main base colour will follow on the sand areas and the dirt trails which you can currently see as white polyfilla lines through the board. I used a thin layer of pollyfilla and ran a chunky lego wheel through these road areas which when painted brown will give it the look of a churned up dusty trail. 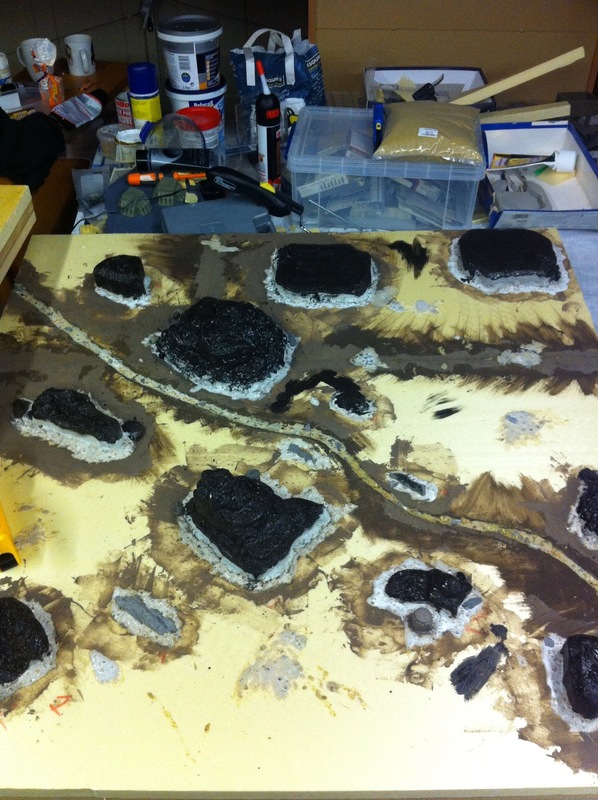 The second board is a Mesa type terrain layout with a small narrow stream running through the centre. 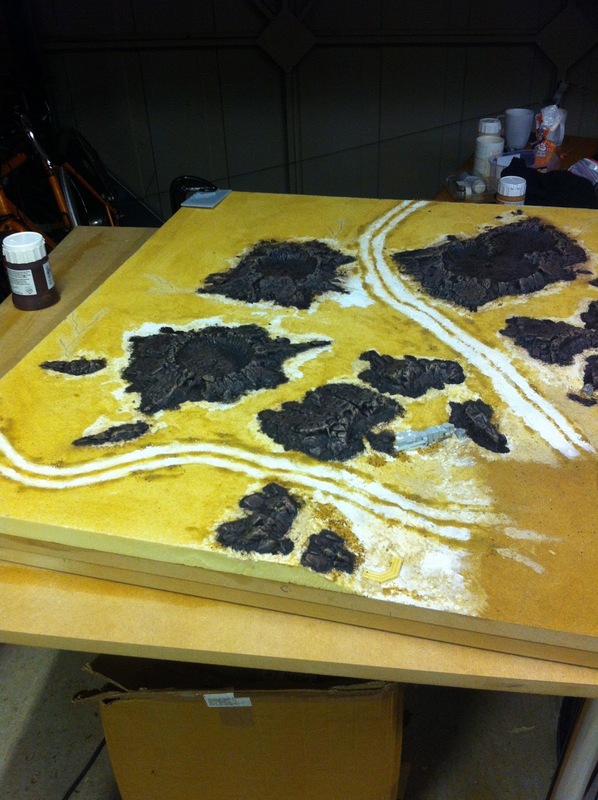 At this stage it looks a mess because the filler and base coats on the Critical Mass Games Mesa resin terrain make the whole thing look like a failed chocolate cake. Once the sand and base coats are down it will start to pull together. Drybrushing the rocky crater sections with a small cheap (loss free) nylon brush. The paints used are artist colour from Hobbycraft in the UK. In this area the Games Workshop crater has been cut up into sections to form the edge of a much larger crater. The Mesa terrain. early days with the resin set into the board and a primer coat starting on the Mesa which will actually be painted up much lighter. The two flat top hills on the top right are going to be used for the base of a dropship landing platform. 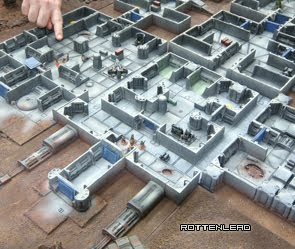 This will be the focal point for games on the mesa terrain. 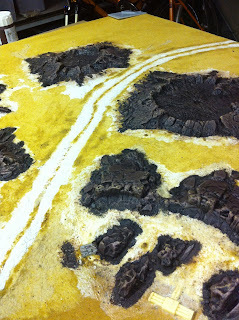 A longer view of the 3x3ft Crater terrain board. Ready now for a primary paint on the main board. Looking forward to seeingvit all at salute.